I bet you thought today would be the big day for the final Fuzzy Five strip of the summer. So did we. Yet like your average trip to the Waffletorium, things have a way of turning out differently than planned. Due to mishaps beyond our control, the big fantastic Fuzzy Five finale will not be available until later in the day. Don’t worry, everybody down at the Fuzzy Five Comic Compound is fine. A little sleepy (as usual), but fine. It’s not the internet until there’s a service interruption! 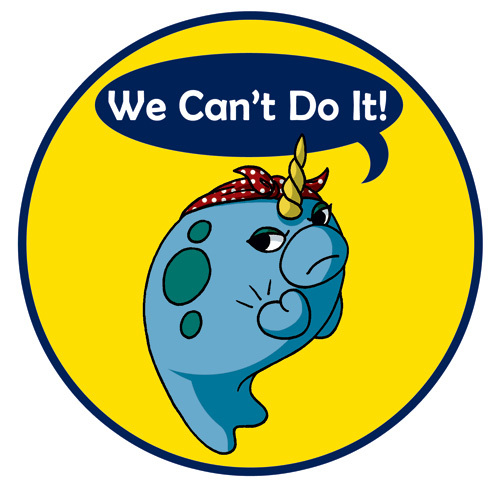 But this one is totally bearable because there is an adorable narwhal! Yes, Fuzzy Five will be back in the Fuzzy Fall. In the meantime, we will be running illustrations like the ones we have been running in between strips of late. Wait, doesn’t it have to be alliterative? Nina the, uh, Niviter? No . . .
Ah! Got it! Nina the Niftier! She nifties things! You’re ending it already? But…why? Hehe, yep, just behind due to MASSIVE WEBSITE REDESIGN. Oh, and comic con. its comic con time isn’t it? …why does it say we CAN’T do it? shouldn’t it say we CAN?